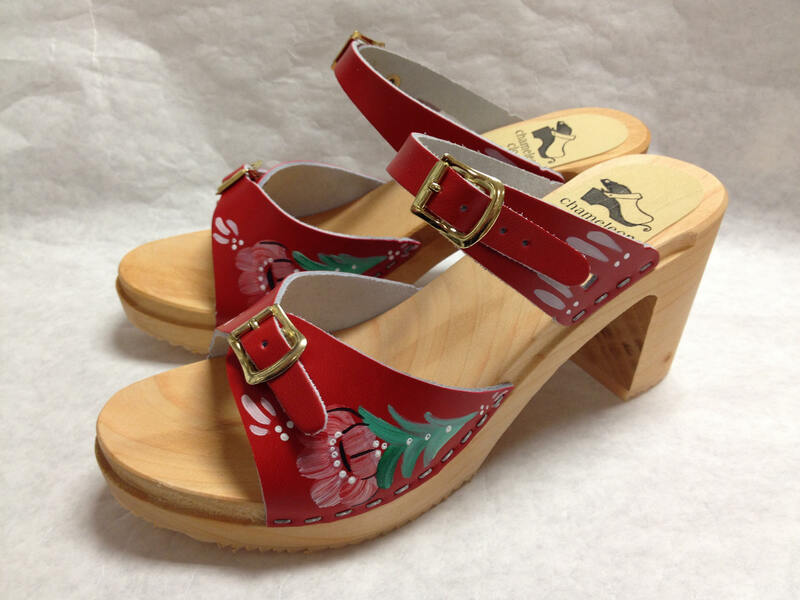 Hand painted sandals with a floral Scandinavian folk painting on the fronts and straps. Made in our popular red leather and natural super high heel with a gold buckle across the toes and instep to customize the fit! May choose bronze or silver buckles if gold is not your preference.